Our weekend was a perfect break from the previous crazy week. Greg had a long, aggravating 5 days and my week was full of technical problems with projects and this blog. We spent time with our friends (having one of the best steaks we’ve ever eaten Friday evening), caught up on our shows, bought some new nephew clothes at garage sales (along with a few other things), ate on the porch at Chapati Indian restaurant in town (amazing) and ran errands in preparation for our trip to Indiana. Ready to leave now and I’m pretty sure Greg is as well. We want the wind blowing in our hair, feet on the dash (at least mine), sunglasses on, our tunes playing and to track the miles behind us (promises to keep and miles to go before we sleep, miles to go before we sleep…). Too bad we have to make it through this week first. That reminds me, I will not be posting a “fond of” Friday post. We should be cruising near Chicago about that time. The breeze was blowing this weekend. A cool and welcome wind to the end of these hot summer days. Before summer vanishes and the idea to grill passes, try this next recipe. Grilled halloumi cheese marinated in a caper vinaigrette. Find this cheese and grill it! I’ll tell you more about halloumi cheese if you’ve never heard of this salty, Middle Eastern delight. Most likely found in a specialty store (I found my package at my local co-op), packed in brine, halloumi is a creamy, slightly tangy, part sheep and goat’s milk (although the cow’s milk version can be found too) cheese. It’s popular and produced on the island of Cyprus and in the Middle East. Like few other cheeses, it can be grilled or fried because of its high melting point. It’s wonderful without cooking too. I paired my grilled halloumi with tomatoes and basil in the leftover vinaigrette the cheese was marinated in for lunch. I recommend putting it in salads, topping bread, as a sandwich, or coating it with breadcrumbs as a snack or appetizer. I’m in love with this cheese. I’ve been using it in recipes where I normally add feta or mozzarella. If you come across it, give it a try. 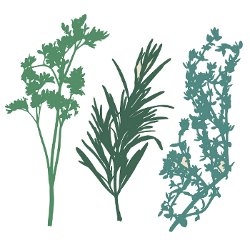 In a bowl, mix the oil, capers, garlic and rosemary. Add the sliced cheese, turning to coat, and cover. Marinate for an hour. Preheat the grill to medium-high heat (or fry in a pan over medium-high heat) and grill the halloumi until browned, about 2 minutes each side. Keep the vinaigrette the cheese was marinated in-set aside. Cool and cut into smaller pieces and toss with the basil, tomatoes and leftover vinaigrette. Season with salt and pepper and serve with bread if you’d like. I hope this week flies by for you (and me too!) I have never heard of halloumi cheese, but after your description and that photograph…I will just have to track some down! Gosh this sounds and looks great! I love the addition of capers in there – I bet that would add a great tart flavor! It sure did. I love a good caper! 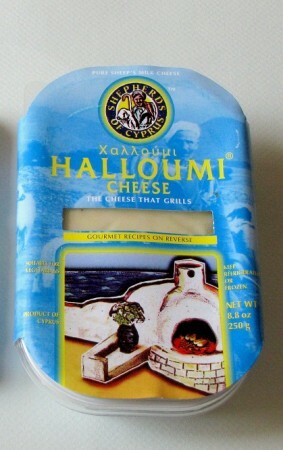 I tried Halloumi cheese once, since that time, I am hooked. 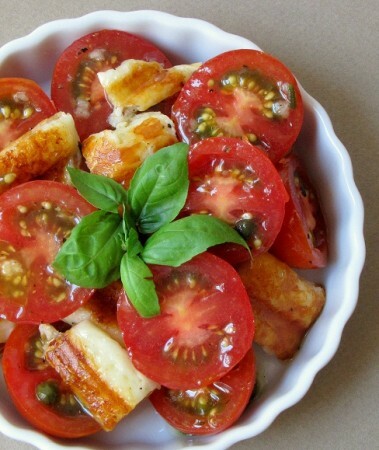 This recipe with Halloumi cheese, and tomato is so yummy! I love the salty capers in it too. Thanks.